Over the next few months I am going to share a few behind the scenes posts from this year offering a rare insight into how I work, why I choose to use the accessories that I do and tips on how to use them for the safety of your subjects as well as how I go about creating some of my images (in camera). 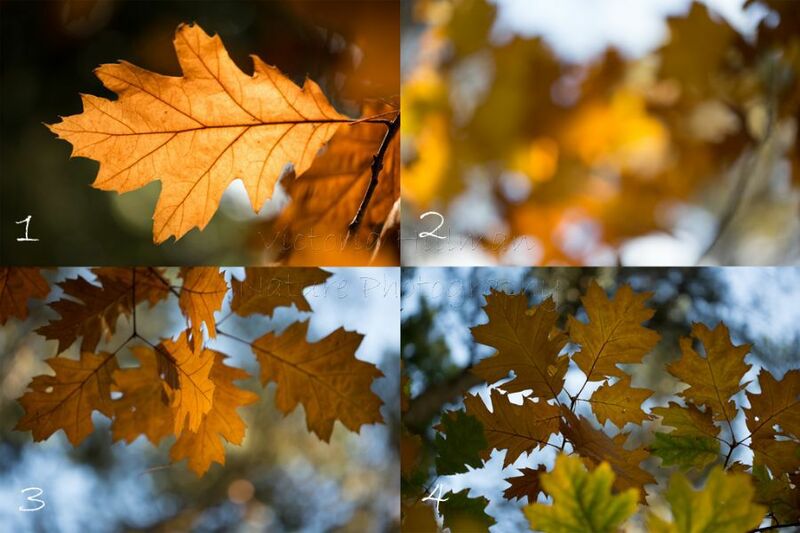 Part one will be all about photographing Autumn. Autumn produces a stunning array of colours and this year has seen one of the best displays I've seen in many years. This time of year is captured by photographers across the country and Northern Hemisphere but this year I have been looking for something a little different, a different way to capture the colours and beauty of this last show before winter and also the fungi that we find in abundance at this time of year. First up is the American red oak (Quercus rubra), as the name suggests it is not a native tree to the UK but was extensively used as a forest tree in Europe in the nineteenth century and in Britain and now grows wild in many parts of the UK. 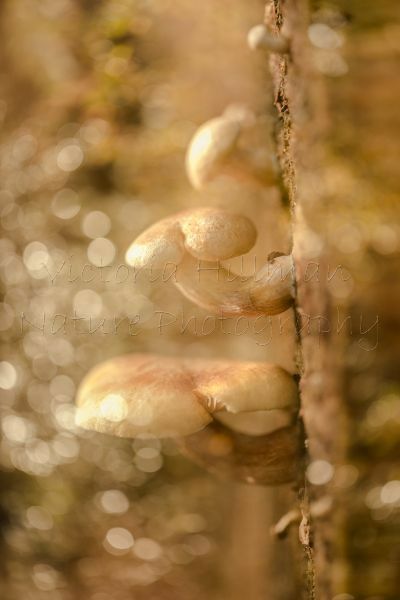 Second we have some small fungi growing on the side of a log. 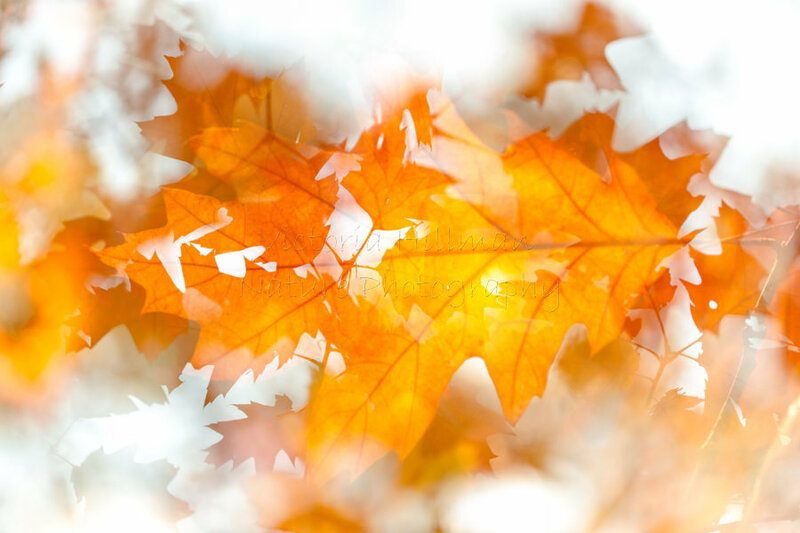 If you would like to purchase either the oak leaf image or the fungi image as a print or wall art just click on it and it will bring up the options. How did I create these images? One of the reasons I opted to upgrade my camera to a Canon 5D MKIII earlier in the year was the multiple exposures function where you can take between two and nine images which the camera would then add together to create one final image (I always save the separate images as well). I have been experimenting with a few ideas and techniques over the last few months in preparation for next year and have had some wonderful results but also some shockers! Creating an image using multiple exposures is not a new idea or technique, it is something I have experimented with before long ago in the dark room using black and white film, but now we have the technology to create these images in camera and in colour too. 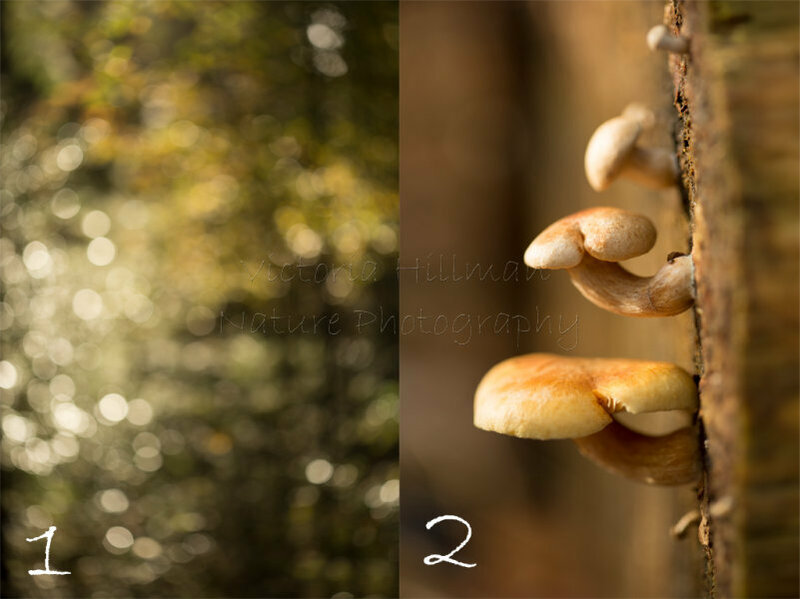 The idea is that you can create these beautiful and different images by combining several exposures together, so here are the details and images that I took to creat the red oak and fungi images. The final image is actually a composite of four exposures as numbered below. Images 1 and 4 are in focus, image 2 is completely out of focus and image 3 is somewhere in between being in focus and being out of focus, images 2 and 3 have been focused manually to achieve the right amount of blur to add to the overall image. They have all been shot using a macro lens at f/2.8 and by using four exposures (I did experiment with two and three) you achieve a more translucent effect. The final image is a composite of just two exposures as shown below. Image 1 has been focused manually to achieve the bokeh that will add a magical feel to the overall image and image two was focused using autofocus to make sure the fungi are in focus. Both were shot at f/2.8 using a macro lens. This technique of combining multiple exposures is something that is allowed in many of the top photography competitions provided they are taken at the same location, at the same time and they do not deceive the viewer or misrepresent the reality of nature. It has taken me several months and attempts to get the hang of this technique and it doesn't always work, the key is making sure the background images have light where you need them too and will not over power the main (in focus) subject.